← Walgreens Nice! Candy Packaging – Now in Box Form! Maximum Marathon Part 1: The Wrappers! This week I’m returning to one of my favorite brands with a series of three posts dedicated to the topic of the 1970’s classic Mars Marathon bar. 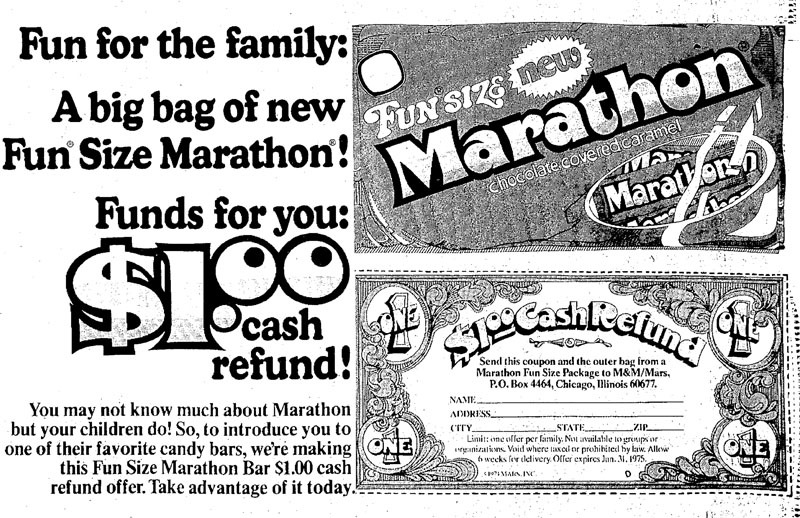 Today we’re going to take a look at the various evolutions of Marathon’s wrapper design that carried it from launch all the way through its eventual discontinuation. I first covered Marathon back in February of 2012 with my Mad About Marathon post. Within that I discussed my love of the brand and how I came to track down the prized Marathon bar wrapper now in my collection. That same month I would also investigate how Mars had originally introduced the Marathon bar in Europe nearly two years before its USA debut, but under the 3-Musketiers brand name. As my research deepened, I discovered that the origins and history of Marathon were more serpentine than I could have ever guessed, but made all the more fascinating by the twists and turns the story took. During that initial coverage last year, I wasn’t sure what the very first version of the Marathon bar wrapper looked like. I knew I had an early example in my collection, but I couldn’t be sure it was the first design. Typically, launch wrappers or “rookies” as I like to call them include a “New!” call-out, but it turns out that was not the case with Marathon. 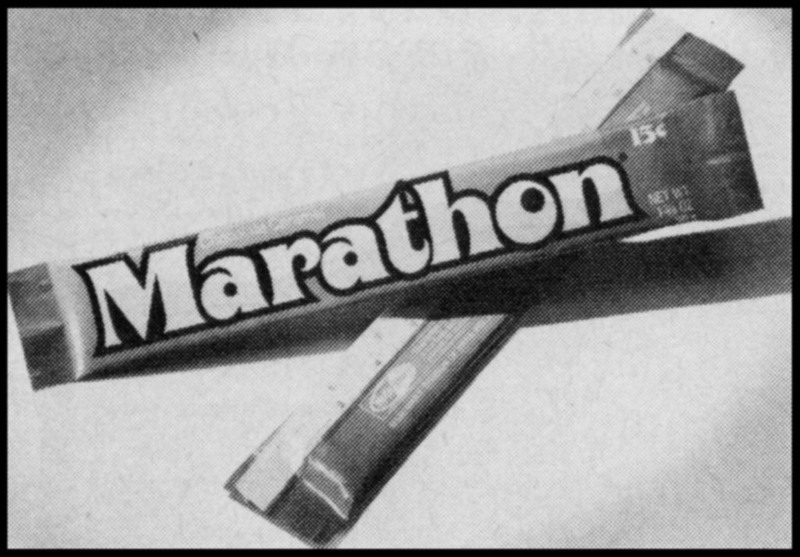 And so after nearly a decade of deliciousness, the glorious run of the Marathon came to an end in the early 1980’s. 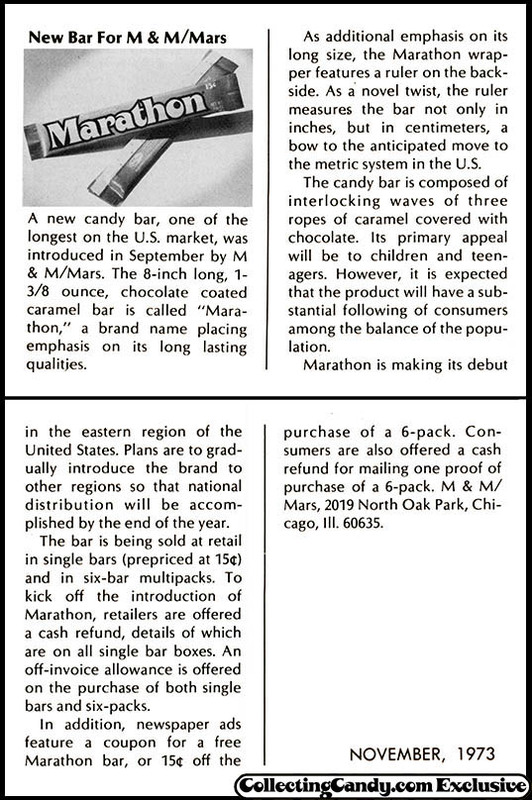 During that period, the Marathon bar’s wrappers never received a major overhaul, just small tweaks along the way. Even so, I hope you can appreciate this closer look back at the incremental changes that subtly altered the look of this former candy isle star. 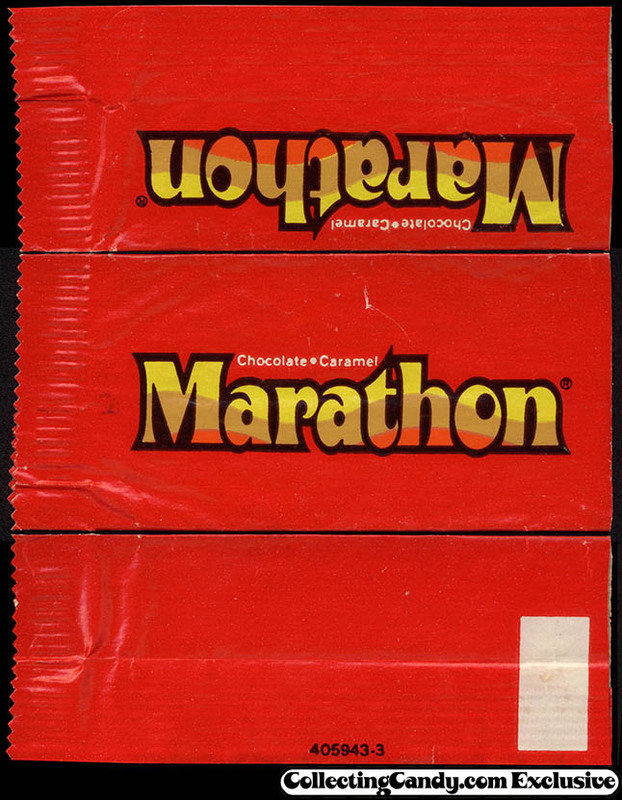 Since writing about Marathon last year, not only did I learn of its origins, but I also found a specific wrapper I’d been hoping to uncover – one for a Fun-Size Marathon! And that’s everything for today’s coverage and part one of our three-day Maximum Marathon coverage. We’ll be back tomorrow discussing the marketing of Marathon with an emphasis on Marathon John and the “Quick” character commercials. 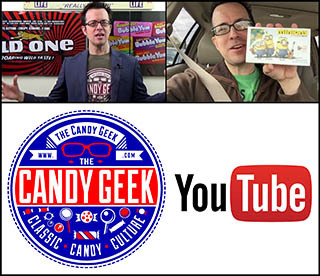 Along with that, we’ll be premiering a never-before-seen Marathon bar commercial spot – one that is sure to become a CollectingCandy.com Exclusive classic! This entry was posted in 1970's, 1980's, Chocolate, Mars and tagged 1970's, 70's, candy collecting, candy collection, candy collector, candy wrapper collection, candy wrapper collector, caramel, chocolate, collectible, collecting candy, confectionery, confections, M&M/Mars, Marathon, Mars, packaging, sweets, vintage candy wrapper, wrapper. Bookmark the permalink. 3 Responses to Maximum Marathon Part 1: The Wrappers! This is great! 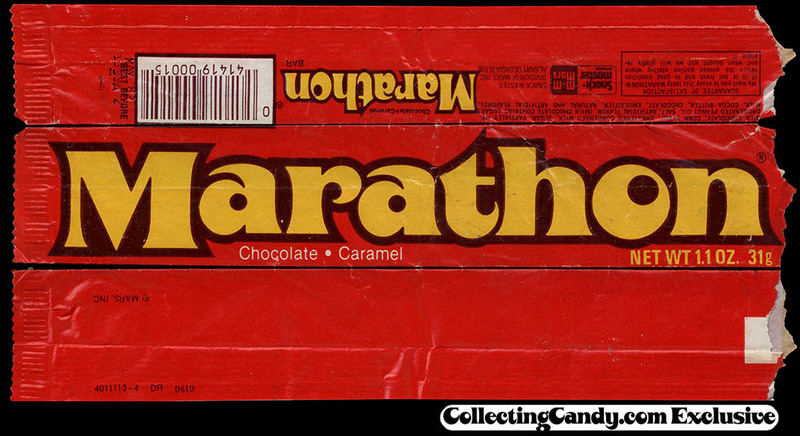 Marathon was definitely my favorite candy bar, and I was so mad when they discontinued it. Still don’t know why they don’t bring it back, lol.